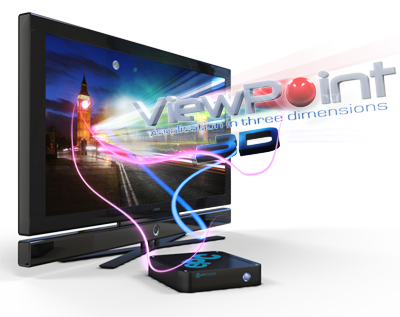 ViewPoint-3D software is designed to be efficient and platform independent, it includes a live-content player to reproduce interactive and live-data content for desktop and 24x7 embedded applications, a content design software that also produces high quality video of 3D animated content for streaming to remote screens, and server software to manage millions of remote screens. Video samples are provided below - just click on the images. You may need suitable video codecs to playback. Right-click to download the source video files. Just click on the images below to view the video, or right-click to download the HD videos. 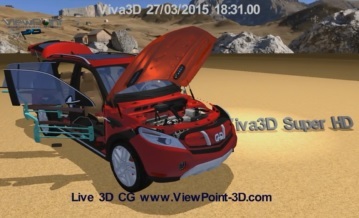 If you have any problems viewing the videos or are interested to know more about ViewPoint 3D, please contact us. 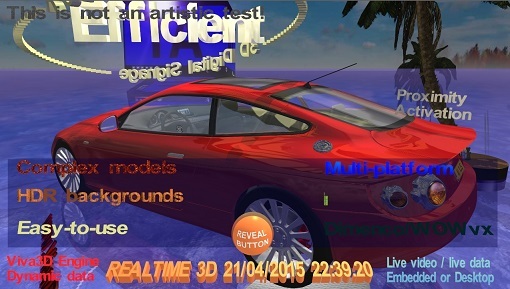 © 2010-15 ViewPoint 3D. All Rights Reserved.